Booking a Miami yacht charter is a great way to explore the waters around Biscayne Bay, South Beach and the surrounding areas. Whether it’s your first time reserving a Miami yacht rental or you’ve been on yachting trips around South Florida before, there are several things you can do to make the most of your getaway. It doesn’t matter if you’re a newcomer to the Miami waters or an experienced boater looking for a new adventure, take some time to map out an itinerary that you will never forget. Consider planning your trip around sundown to catch the beautiful sunset, or coordinate a nighttime trip where you can watch the moon rise around Biscayne Bay. Consider hotspots such as the Venetian Islands or Star Island, or just travel around Biscayne National Park and Elliott Key. If you’re an adventure enthusiast, take full advantage of the kayaking, snorkeling and nature hiking opportunities around the parks and islands. Admire the sunset, watch the dolphins play or just snap a few great photos of the shoreline on a multi-hour boating trip around Miami. Since you’ll be on the water for several hours with your Miami yacht rental, make sure you pack a few snacks for the trip. Granola bars, wraps, sandwiches, chips and candy are a few convenient options to pack in a cooler bag or tote. If you plan on docking near a beach, you could even pack a complete picnic meal for yourself and your guests. Whether you’re in charge of steering your Miami yacht rental around the waters or are just riding along, alcohol can affect your ability to fully enjoy the experience and can increase the risk of an accident on board. Make your boat an alcohol-free zone and stick with water, juice and other non-alcoholic beverages to stay hydrated during your trip. If you are planning on serving or enjoying alcoholic beverages, be mindful of the amount you drink. Most importantly, drink plenty of water to avoid dehydration and intoxication en route. Whether you plan on spending more time on your Miami yacht rental or on the beach, make sure you’re protecting your skin from the elements and are dressing appropriately. The hot Florida sun doesn’t have to cause a serious case of sunburn or other problems. Layer on the sunscreen and bring your best pair of sunglasses for extra protection. Stick with light colors and lightweight clothing, and include a change of clothes if you plan on wearing a bathing suit or shorts for most of the trip. Miami plays host to numerous festivals, celebrations and special events throughout the year. Whether you’re planning a Miami yacht charter trip over the Fourth of July weekend or during the holiday season, you can dock the boat at a local marina to enjoy some festivities along the way. This is a great way to meet people in the area and enjoy fireworks shows and other events from the water. 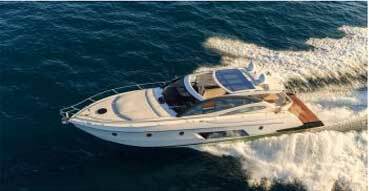 Plan an unforgettable South Florida getaway with a customized Miami yacht rental experience.